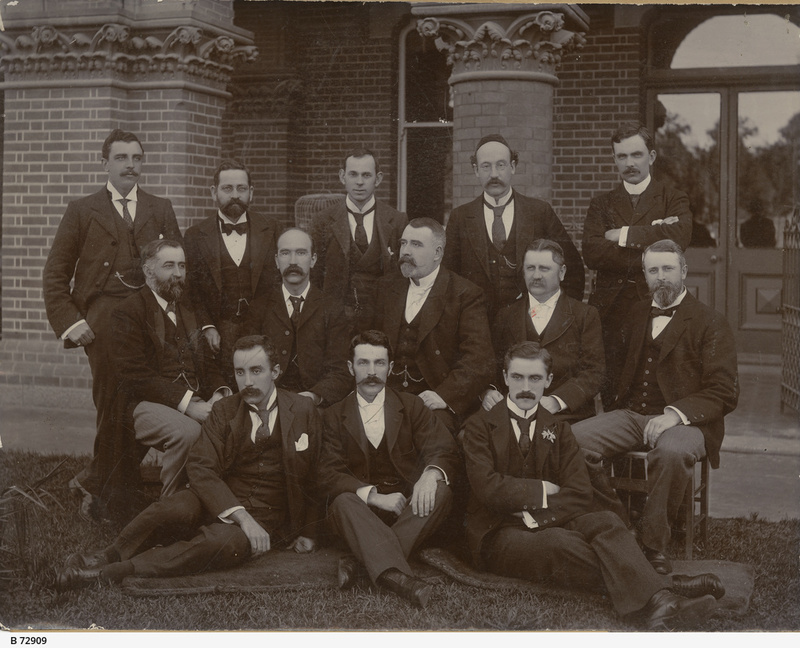 Group photograph of male medical staff of the Adelaide Hospital. The men are grouped in front of a building. The names of the men are written in pencil on the back of the photo: Back row - left to right: Drs. Morris, Hill, McDonald, Astley[? ], Dr. Woodside. Second row: Bickle[? ], Ramsay Smith, Napier, Niesche, Rogers. Front row: Price, Shepherd, Pryor.